Michael was featured on KING 5 Evening Magazine. Click Here to Check out our IN THE NEWS page for more Links! Award winning photograph with our doves at the one year anniversary of the 9/11 tragedy. 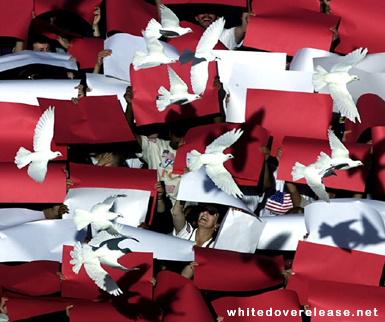 Ceremonial white dove releases are quickly becoming a popular site at events across the nation. Any time helium balloons would be appropriate, a white dove release would be a stunning substitute and much more pleasing to the environment! 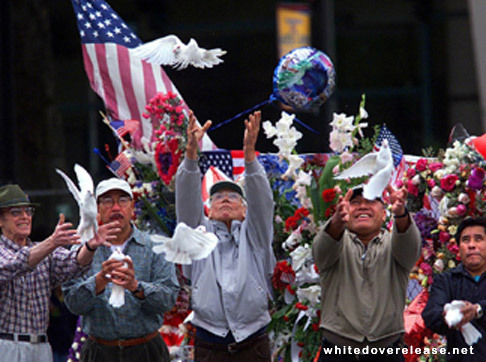 White Dove Release will create memories that will last a lifetime. 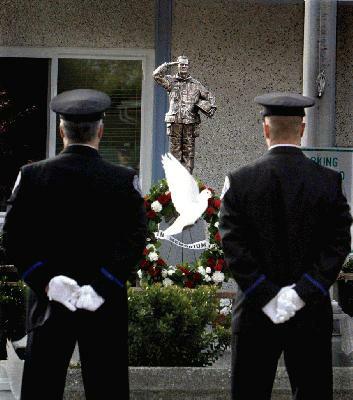 It is truly a breathtaking experience that will lift the spirits and be remembered by all in attendance. Call now to reserve our birds for your special occasion.